Delta S Side charger model. Arguably the least development we have seen on new firearms is in the submachine gun arena. Once the coolest kid on the block, sub guns were a staple of counter-terrorism forces, the world over. Despite many attempts to usurp it, the MP-5 was far and away the weapon of choice. And in the MP-5 family, clearly, the MP-5SD was King. The K model has a following, and the MP5/10 ( 10mm) is the dark horse. But nothing compares to the mystic of the classic MP-5SD. The SD part of that is a German word I can’t pronounce that means “ sound suppressor”, referring to the integrated suppressor featured on that model. The unique thing about the MP-5SD isn’t just that it had a suppressor built in, although that was pretty novel in 1974. It is how the suppressor works in this particular case. Militaries didn’t want to have two types of 9mm, subsonic and supersonic. So the Germans set out to create a suppressed upper that would do something near magical. It would make supersonic rounds leave the barrel at a subsonic speed. That is no small feat. If you have ever played with a normal screw on suppressor and a chronograph, you know exactly what I mean. Often times you get what is called free bore boost, an increase in muzzle velocity. It isn’t quite the same as having a longer barrel, but the added length of suppressor does, in fact, act somewhat like a barrel extension. A 6 inch can might only give you 10-20 feet per second, but the fact remains. Muzzle velocity goes up, not down. So how, exactly, did H&K solve that problem? With some German engineering and a healthy dose out of the box thinking. To greatly simplify the process- First, they ported the barrel way at the back, basically right in front of the receiver. This was to bleed off-gasses from behind the bullet, venting them into one stage of the suppressor. This slowed the bullet down to an acceptable subsonic velocity, then the second stage of the suppressor acted like a normal can. It cooled the gasses and cut down the noise. Viola- full strength 9mm is now subsonic. And for an idea how neat that trick is, consider the specs on NATO 9mm. In the modern era at least, it is a 124-grain bullet moving at 1250 feet per second. So while the H&K is cool, it does present some problems. For starters, let’s be honest about the design. It hasn’t really changed in 53 years, and that is getting long in the tooth. Second, good luck finding a civilian legal MP-5 ( aka HK94), much less an SD model. H&K only made a semi-auto version from 1983 to 1989, and none of those to my knowledge was an SD version. And so now we arrive at our new Delta S firearms. Why no one else has picked up that SD concept and run with it before, I don’t know. But this year a small company out of Idaho did exactly that, and the result is spectacular. Delta S liked the principle of the SD model but wanted to modernize the platform. After early growing pains, we can all pretty much agree that the AR family of weapons is now top dog. If you want to build any kind of combat arm, it better have the controls Eugene Stoner intended. And most of us are strangely comfortable with that. So Delta S took all the things to like about an AR-15/ PCC and added in the technology of the MP-5SD. 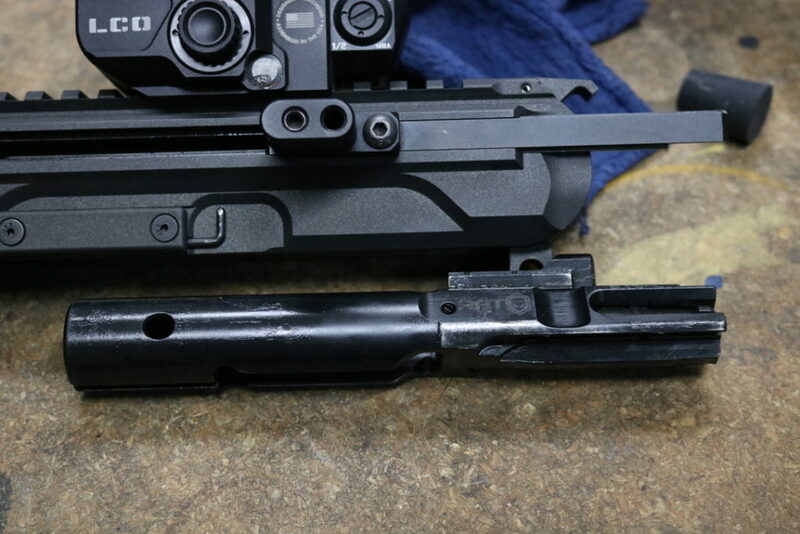 Side charge upper with the bolt. The guns themselves are a thing of beauty. The receivers are cut in house, to exacting tolerances. 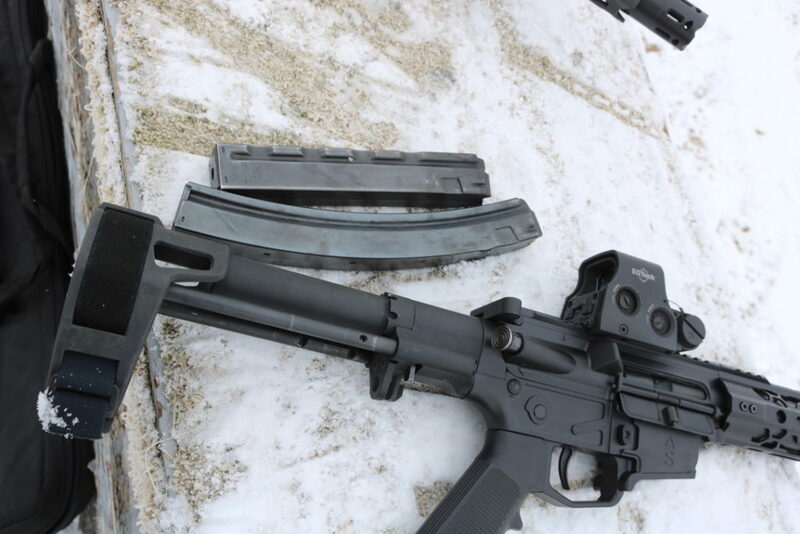 This isn’t some parts bin slapped together, the gun was designed bottom up as a 9mm. The receiver sets are all billet and cut not only for aesthetics, but to reduce all unnecessary weight. The safety, trigger, and magazine release are all AR familiar. 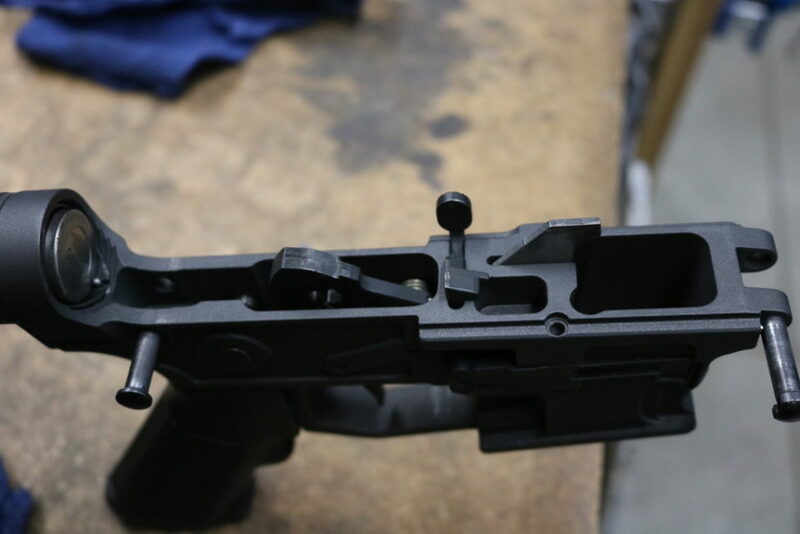 The mag wells are flared, and you have the option of Glock or MP5 magazines. Glock magazines are the modern standard for PCC guns, but MP5 is still hard to argue with. Considering the aftermarket for both, either is an excellent option. 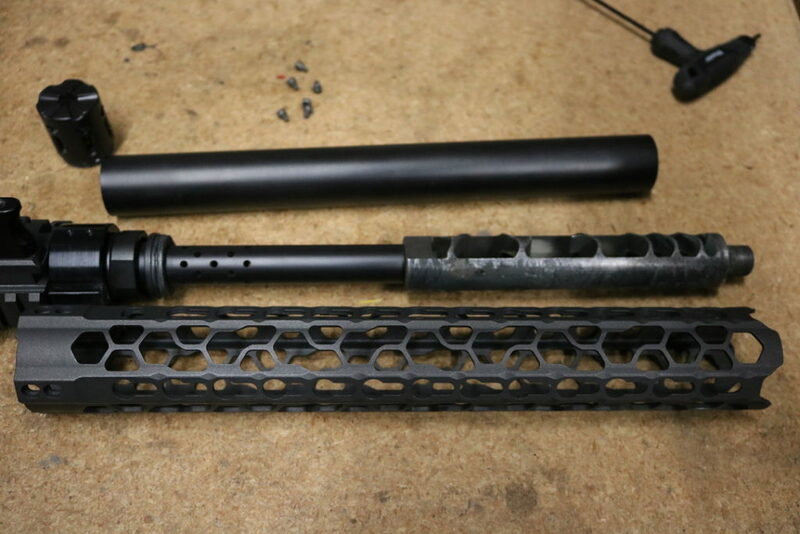 Handguard, the outer tube, and baffle stack. Then the special sauce. True to the original idea, all current Delta S models are integrally suppressed, with the same barrel porting system. No special ammo required, full strength factory 9mm leaves the barrel at 900 FPS. And oh lord, are they quiet. When I was at the distributor, he mentioned they had metered as low as 108 decibels. To put that in perspective, OSHA hearing safe is 140 Db. 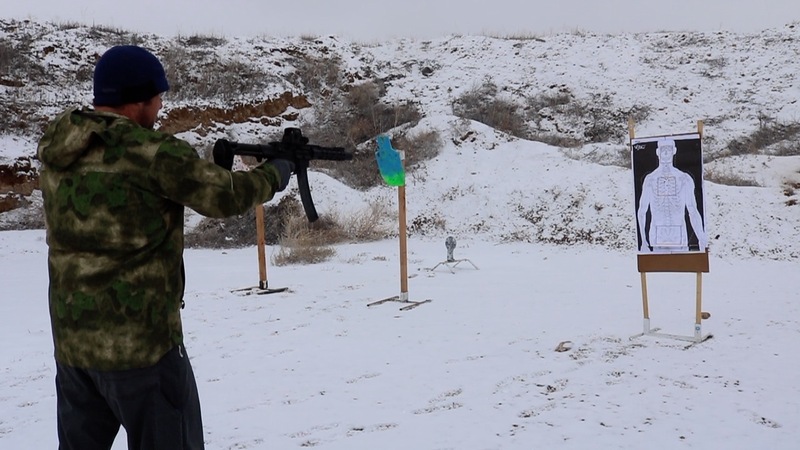 Most 5.56 suppressors drop the noise to around 137 Db, and we consider that excellent. The Delta S models are very nearly Hollywood quiet. To get any less noise, you have to go rimfire, from what I have seen. 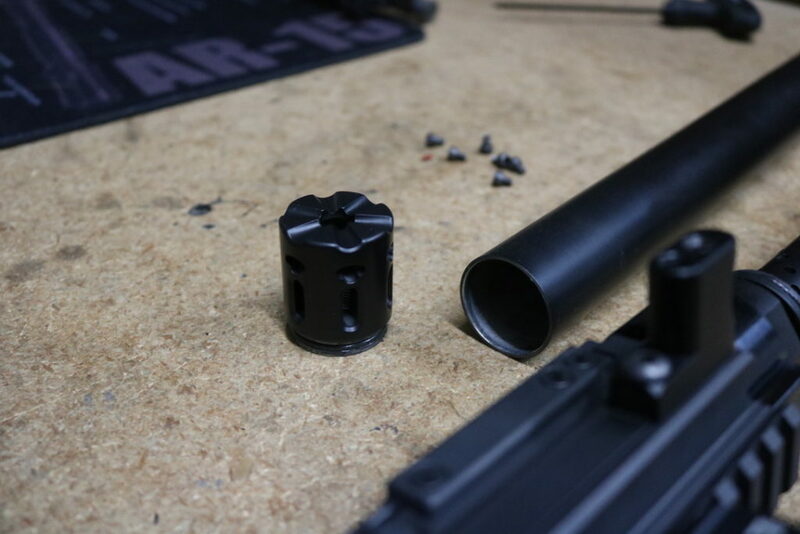 The integrated suppressor is not only quiet, but it is also easy to maintain. While the suppressor is pinned to the barrel, it does have a unique disassembly process. 6 screws hold on the handguard, a snap to remove. Then the end cap screws off, and the outer sleeve of the suppressor slides free. Simple access to your baffle stack, it makes cleaning a snap. Delta S currently offers two models, both pistols. Both have 14-inch barrels, one a side charger, one a conventional AR style charging handle. 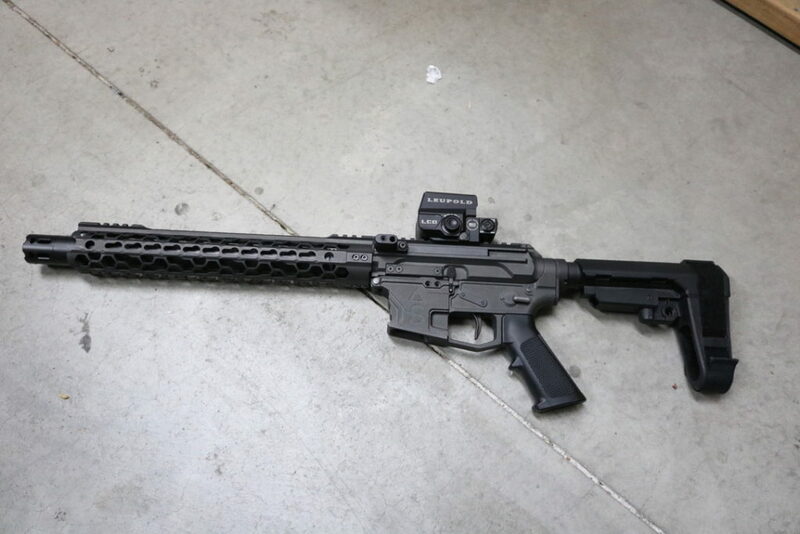 Given the quality of braces currently available, they saw no reason to make an SBR, and I see the logic of that. 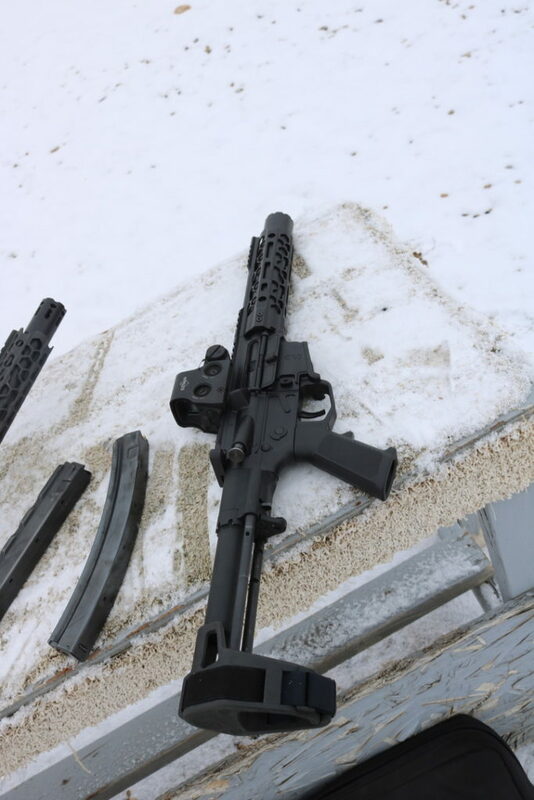 In our video demo, we also got to test the new DS9K model, with an 8-inch barrel. Getting the air volume of such a short integrated suppressor just right has taken some time, but I feel they have it dialed. The DS9K will also be available as a pistol, or as an SBR for LE only. If you already have a lower, Delta S offers upper receiver groups only as well. And in the near future, they have promised lower’s only, for your PCC build. 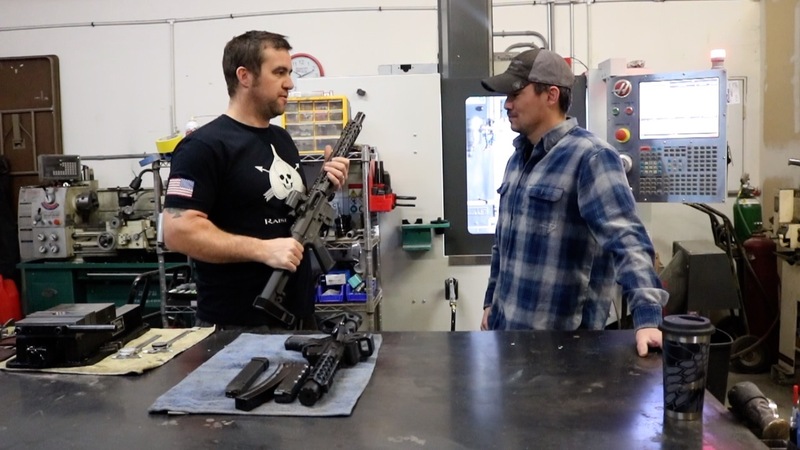 MCM firearms, the distributor for Delta S, offers something else unique to the industry. Financing. As veterans of the market, MCM knows we don’t all have the cash laying around for exactly what we want. Well, for as low as $85, they have you covered. There might be some sticker shock at the price, but you have to consider what you are getting. At an MSRP of $2730, it isn’t cheap. But that is not only a full firearm, it’s an integrated suppressor as well. For perspective, Larue is charging $1995 for their SUURG upper, and Gemtech wants $2399 for the Integra. That again is upper receivers only. You still have to have something to put it on. Delta S is a niche product, but it is a cool one. If you are looking for some uber quiet 9mm fun, look no further. This one absolutely gets my stamp of approval. For information visit MCM Firearms by clicking HERE. This reads more like an ad than an article. The reason no one has built a rifle to usurp the MP5 K is because they learned about the penetration problem even from a subsonic 9mm. Which is why they switched over to suppressed sbr 556 for cqb over the MP5. Which makes most of the introduction moot. The only reason companies in the last couple of years have pushed smgs is because they keep trying to make a smaller package. Which is the exact opposite of your ad product. A very short 9mm or 45acp loses less velocity than a 556 of the same barrel length. IE the Sig Copperhead or the many tiny ARs in 9mm, 45acp, and 300blk. This vented barrel concept is nothing new. The Angstadt Arms integrally suppressed upper is far better made and less money. Do some research, Clay. It’s merely just another short AR. Darn it, Christmas is so far off.